Meet the car that doesn’t need an introduction, it makes them. The 2018 Dodge Challenger is available at our Nashua area dealership, promoting beast-like numbers and remaining America’s favorite muscle car for a reason. With the Supercharged 6.2L HEMI® SRT V8 Engine, you’ll reach up to 707 horsepower and 650 lb-ft of torque. The Challenger races against time with the optional TorqueFlite® eight-speed automatic transmission. Want a ride that still is ready for the racetrack and the New Hampshire weather? The Challenger is the first-ever all-wheel drive of its class that gives you the ultimate control on the road ahead. It’s your new hell on wheels. Heritage-rich, iconic, and retro are just a few ways to describe the Challenger’s design. It’s a classic, from its four-beamed headlights, shaker hood, racing stripes, and vintage body style. 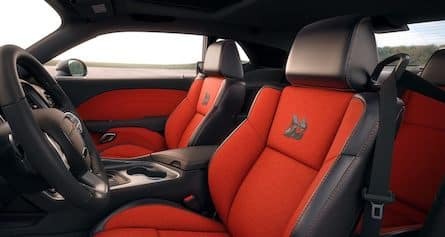 This Dodge coupe just continues to improve each year with features like LED lighting, available leather upholstery, heated front seats, and a more spacious cabin. Nashua and Manchester area shoppers will embrace their new cockpit with extreme confidence, as they work to break their 0-60 mph record.  At Contemporary Automotive, we keep our shoppers in the know with our cars. 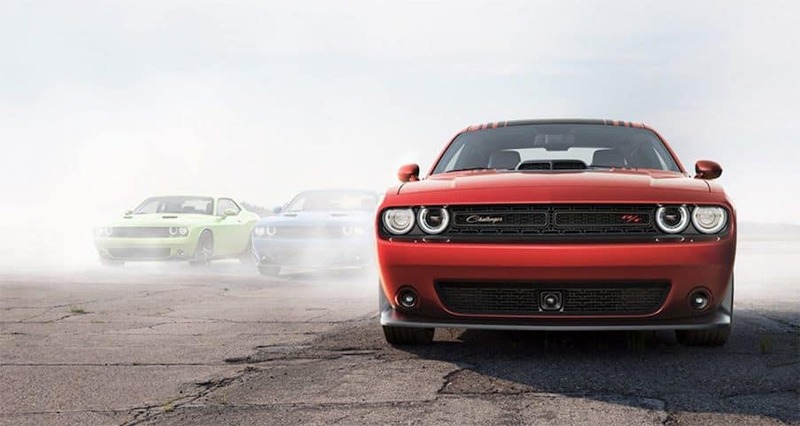 The 2018 Challenger helps you maintain connection once you push the start button. Your available 8.4-inch UConnect® touchscreen will come with Bluetooth® technology, optional Navigation, SiriusXM® Satellite Radio, and weather! 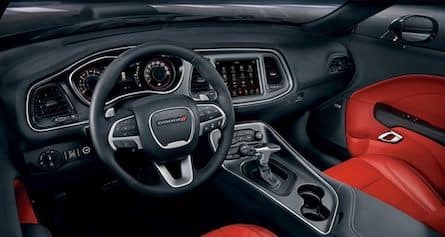 Everything you need to know about your muscle car can be found in the reconfigurable Driver Information Digital Cluster. With the heritage tic-toch gauges flanked on either side, you can find out your vehicle’s tire pressure, fuel economy, available navigation directions, and much more about the car’s health. Cruise with dominance but also safely. Upgrade your Challenger to have Blind Spot Monitoring System and Forward Collision Alert and you will have your ride ready to react if you cannot do so fast enough. Optional adaptive cruise control helps you set a good distance between the other vehicle in front of you automatically. Parkview Rear Back-Up Camera will make backing out of any driveway or parking spot a simple task. In the event of an accident, this coupe flexes its muscles with crumple zones, solid high-strength steel safety frame, and airbags throughout the cabin. We care about our those near Nashua and Manchester; that’s why we encourage you to take advantage of our Dodge Challenger incentives. Nashua and Manchester area shoppers looking for an incredible ride that will capture everyone’s attention, you can count on the 2018 Dodge Challenger. To schedule a test drive, please contact us at (844) 500-6722.